Services and programs we provide include supportive home care, support broker, skills for life, information and referral, social and wellness groups. To learn more about each of these please check out the corresponding pages under the Programs tab. United Cerebral Palsy of West Central Wisconsin (UCP of WCW) currently offers professional service, care, and understanding to meet the needs of people of all ages with varying abilities. UCP of WCW has been in existence since 1954, serving over 600 families annually. Our over all goal is to help create a life without limits for people with disabilities! Our 36th Annual May Walk is coming up on May 11th from 8am-Noon at Owen Park. This year is the 36th Annual May Walk (Also known as: A Walk in the Park) for UCP of West Central WI. The fundraiser will be held on May 11th from 8am-Noon at Owen Park in Eau Claire, WI. Attendees will walk a mile loop through Owen Park, over Water St. bridge, throughout historic homes, past the YMCA and back over the Lake St. bridge to the park. During your time at Owen Park there will be breakfast sponsored by Panera Bread and light acoustic music. Attendees can also peruse booths with wellness resources relating to adaptive equipment and activities for people with varying abilities. Attendees can use our pledge form by printing it off here or picking up a copy from our office at 206 Water St. Eau Claire WI and collect cash to raise pledges. Or they can use Donately to create their own peer-to-peer fundraising page which will count as their pledge sheet. If you are interested in raising pledges online through Donately click here. So have some fun and get ready for the annual May Walk. Create your peer-to-peer fundraising page for our 2019 May Walk today on Donately or pick up a pledge form and start raising money for UCP of West Central WI. 100% of donations stays local. 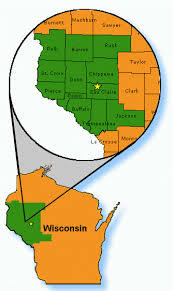 We have been around since 1954, serving 12 counties in western Wisconsin! We help those who are adults in different situations get the help they need. From supportive home care, support brokers to wellness and social groups. We help children and their families with a variety of needs in the 12 counties we serve. From transition services, daily living skills to camp and more. United Cerebral Palsy of West Central Wisconsin has had a youth ambassador each year for the past 39+ years. This is something that makes our organization unique. Our youth ambassador represents UCP of WCW at fundraising events, especially our telethon which is one of the largest events we put on each year. Our 2019 youth ambassador is Trevor Tompkins. He is our first youth ambassador without a diagnosis of Cerebral Palsy. Being that we serve people of all ages with varying abilities Trevor is a wonderful ambassador to spread that knowledge within the community. You can learn more about Trevor and his journey under About Us on the Youth Ambassador page. coming up to make sure you get your form in on time! our emergency relief fund to our services!